Today is officially the beginning of Summer here in New Zealand. The school pool opened today, it's already warm and sticky and we've started eating most of our evening meals outside under the grapevine. I'm guessing it's a bit different in a few other spots around the world?! Anyone have any snow yet? It must be strange for some of you Northern Hemisphere-ites to comprehend a summer Christmas. For us here in New Zealand, we have always lived with Christmas being a bit of a paradox: images of Santa on his sleigh and snowy pine trees, when we're outside camping or enjoying a barbie on the beach. Funny thing is when you grow up here, it doesn't seem strange at all. We still decorate our pine Christmas trees and imagine Santa coming on his sleigh... our radios ring to tune of "Jingle Bells" and "I'm Dreaming of a White Christmas"... most of our Christmas images come from the Wintery North. Strange huh? 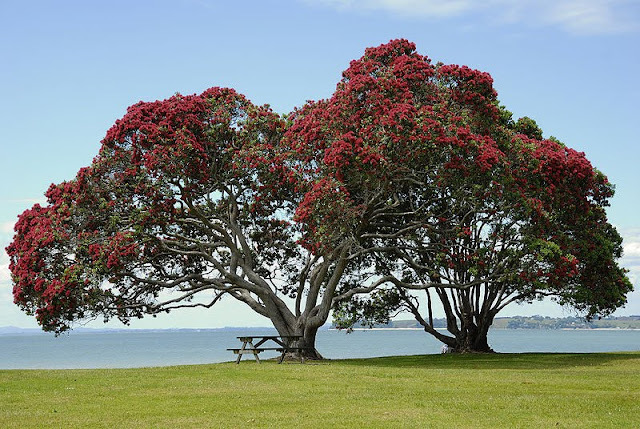 We do have our very own native Christmas Tree: the Pohutukawa, which traditionally flowers at Christmas time. 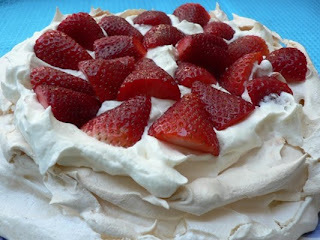 Pavlova is a favourite Christmas dessert (our national pudding - don't believe any Aussies that tell you any different). A favourite childhood Christmas memory is camping in an old army tent on my nana's back lawn with all our cousins, lying awake taking turns telling stories. We slept on creaky old canvas camp-stretchers. The tent had one big pole in the middle and no ground sheet. The scent of mown grass and the sound of flapping canvas takes me right back to those times. We couldn't have done that in the snow. 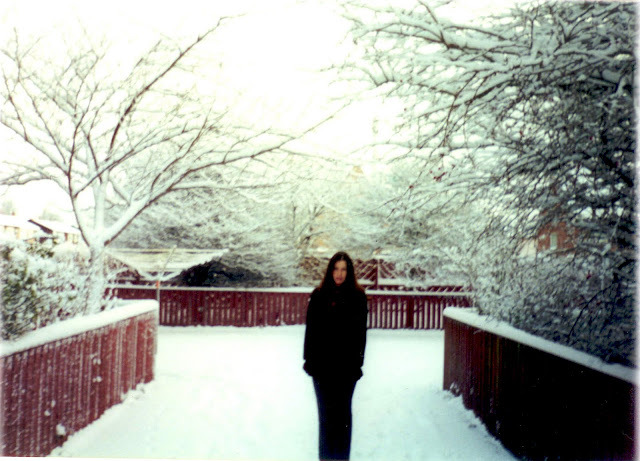 The year we got married, Mr G & I flew to England for Christmas, and it snowed on Boxing Day. It was pretty magical waking up to all that white stuff and making our snowman in the back yard. There is something wonderful about a wintery Christmas. One of my dreams is to take the kids back to the UK one year for Christmas; have a white Christmas together with all Mr G's family. See, so I really am Dreaming of a White Christmas! One day. But in the meantime, I am also dreaming of long lazy days, lying in a hammock, swimming in the school pool (we hire the key each year for the summer), BBQ's and long light nights. Yep, what we lack in the wintry snowy yuletide vibe, we make up for with sun, sea, sand, BBQ's and camping. What's the Christmas Weather like where YOU are?? 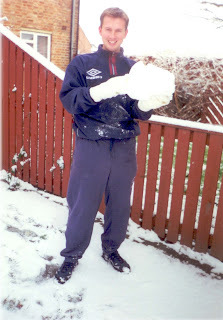 Ah you've taken me to my childhood Christmases in South Africa, and yes, it is exactly as you say. We have all the wintry imagery but it's just not Christmas without swimming, braai's (BBQ's) and a tan :) Love it and miss it. In many ways I find the vibe even more festive there even though it is more picturesque in the traditional sense here in the snow. Have a wonderful season-hurray summer. Ah, Sunday was like that for us, but alas the rain set in yesterday down in Wellington and has yet to abate. Still, it's not cold and it's not windy. I actually pondered snapping a photo of all the children walking into school this morning, as there were so many beautifully coloured umbrellas - normally they are just not worth putting up in Welly! P.S. I too want to take my children back to the UK for a wintery Christmas..... one day. I won't be surprised if our "down under Christmas" isn't a white one this year. It's been soooooo cold down here in the south island! we have had the fire going for 3 days straight...I'm really hoping we have a sunny one though. last year it was raining and grey and it was horrible. sun sun SUN COME! It's wonderful to read about your summery Christmas and all the goodies that go along with it! I'm from Colorado in the USA -- at the foot of Pikes Peak (aka "America's Mountain"). Today it was in the 50s; it'll be in the low 20s Wednesday and Thursday (and that's during the day!). Although we usually start seeing snow around Halloween and there's typically one big blizzard before Christmas, it's quite rare to have snow falling on Christmas Day. Even when the snow DOES fall, it doesn't last long around here, as we have more than 300 days of sunshine per year and the clean white goodness is gone within a day or so. Still, the weather forecasters stay pretty busy beginning a couple weeks before Christmas, offering us their odds of our Christmas being a white one. White, green or gray, I love Christmas in the Rockies! Enjoy your summery weather while we shiver here in the mountains! Im waking to frost on the cars here in the UK this morning. Brrrrr! I would love to have a Christmas down under one year. It is funny, to me, that your Christmas is in the summer...even seeing your picnic pictures with all of you dressed in your summer gear as I pull on scarves and mittens with a heavy winter coat! But this is the beauty of diversity. Where I grew up in North Western Canada we had snow 7-8 onths of the year...but I LOVED it and even though I have now lived more of my life away from there I still miss those winters and what living in a small mountain town brought. Now I live in South Western Canada in a coastal rainforest for that is what we get alot of here during the winter...rain rain and more rain.....though I do hope we do a repeat of last year where we had so much snow and things shut right now....I LOVED that. I am sure I would be cursed for that! Christmas with summer weather does seem odd to me. I never thought about the fact that you still see Christmas images with snow and winter. So funny. Usually here in Nashville it's just cold and damp-yuck. I go back home to Chicago for the snow. I do miss the Chicago winters. Yes, we did get our delicious candies. The Moro gold is YUMMY. Abby likes the eskimos. Tom is loving the milk bottles. Still many more to try! How about you? Has your package arrived yet? Today we de-iced the car for the first time this year.